Diversity and Inclusion is an uncomfortable topic. In the That’s BS! Video Series, she will guide you and your employees to a place where you’re comfortable discussing the uncomfortable. In this edgy equity training, international speaker and trainer Risha Grant, facilitates honest, authentic conversations about unconscious bias, inclusive cultures and micro-aggressions. It leads her audience to a new place of respect, understanding and inclusion. The end result is an energized workforce focused on diverse teams that generate new ideas, better performance, and sales. Engaged employees > More output > Bigger profits. Diversity delivers dollars. Multiple studies show companies with an inclusive workforce perform better – 35% better– than other businesses. Beyond that, there’s the critical message that all voices should be respected and heard – which enables employees to create and innovate – providing your company with its competitive advantage. Grant’s training will teach you how to build a culture of inclusion and leverage it to improve performance and output. You will receive three modules of training that help assess the cultural and organizational barriers blocking your employees and business from authentic change. In this three-step process, you’ll be able to identify, own, and confront your bias while learning to build an inclusive culture and understand the micro-aggressions that keep us irritated and frustrated with each other. This training is for employees, managers and leaders from small businesses to major corporations. 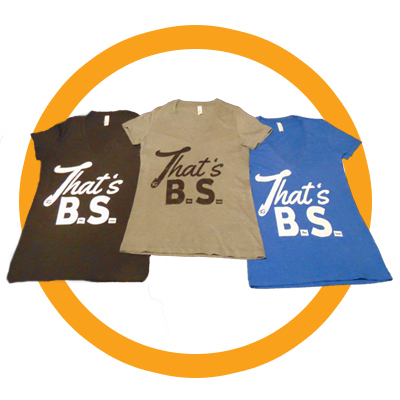 Additionally, receive a free download of the first chapter of Risha’s book, That’s BS! How Bias Synapse Disrupts Inclusive Cultures and the Power to Attract Diverse Markets. License purchase allows organization to use throughout the organization for internal education/training purposes. Videos will be provided via download into the organization’s system to be used internally as desired. 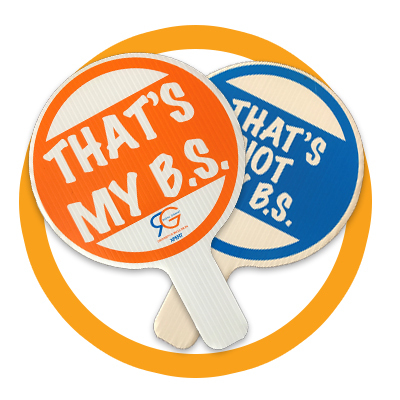 Get rid of the BS by focusing on unconscious bias. 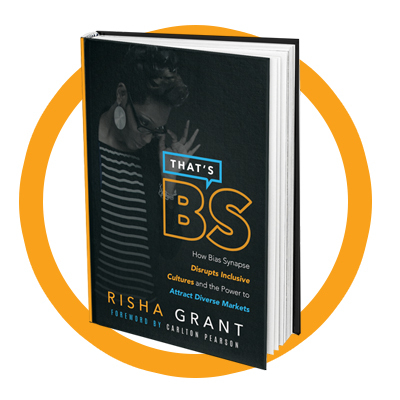 BS (Bias Synapse) is a term Risha coined to explain our brain’s role in unconscious bias. She begins all D&I training with unconscious bias because people need to focus on themselves first to change a corporate culture. Risha shows employees the role they play personally and professionally in every day decisions that may be compromised by unconscious bias. Risha’s process works with the strategies and systems you already have in place. From recruiting to hiring to team-building, she will show you how to create a workplace where everyone feels included, heard and valued. Have you ever complemented someone of a different race only to find out that you offended them? In this module, Risha shows how words, actions and behaviors affect others. She focuses on some of the most common verbal and nonverbal slights, insults and snubs while offering new ways for everyone to be thoughtful and intentional about diversity and inclusion. I hired Risha Grant to be the Keynote Speaker at our 2018 Seoul Sisters Conference in Austin, Texas. She spoke to over 90 attendees for 10 different Samsung Companies across the USA and Canada. She was inspiring, funny and brutally honest. I really appreciated her ability to tell a story, willingness to share her personal experiences and insight. She was professionals and personable. We had Risha Grant is for our International event in Belfast in February 2018, and she was phenomenal. Risha absolutely crushed it, she is amazing, and had incredible impact. Thank you so much!!! I just had to tell you… you are doing the work you were put on this planet to do. Your approach is so genuine and refreshing. I’ve always thought of myself as a pretty open and accepting person, but thanks to you I’ve been analyzing and really searching my existing BS… and realize I have got some work to do. You much such an impression on me that my approach to people that are not “like me” will never be the same.